Many iPhone owners have also used the iPhone as iPod music player, which allows user to listen to music while on the move, or when doing other tasks on iPhone, such as web browsing via Safari, playing games, instant messaging, or accessing map app. When not on the iPod Controls screen, it’s inconvenient or troublesome when user wants to pause the playing back of song or music track, or wants to skip or repeat a song. Normally, user have to tap the “Home” button to go back to home screen, and then tap “iPod” in order to access the iPod control buttons to pause, skip forward or backward the song lists. iPhone has a built-in feature that makes controlling the iPod easy. User can double tap the Home button during music playback, and iPhone will display a simplified version of iPod Controls. The version of iPod Controls allow users to quickly play or pause the music, skip forward or backward, fast forward or backward, and even controlling the volume. The shortcut of double taping the Home button to access iPod Controls works anywhere in iPhone when iPod is running, including iPhone lock screen, and any other apps. iPod Controls showing on double clicking of Home button has been included on iPhone since firmware 1.1. release. In order to activate the feature, go to Settings -> General -> Home Button. 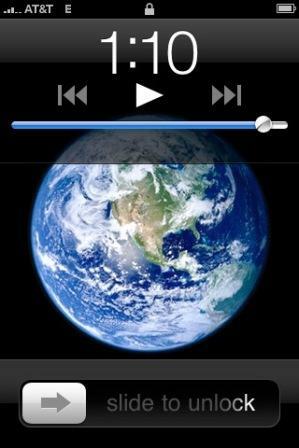 Then, enable iPod Controls to (slide to) On to bring up iPod Controls instead when playing music.